A popular slim fit, the Z-Roller is designed to be worn low on the hip. Featuring a longer rise, skinny through the leg and tapered in at the ankle. 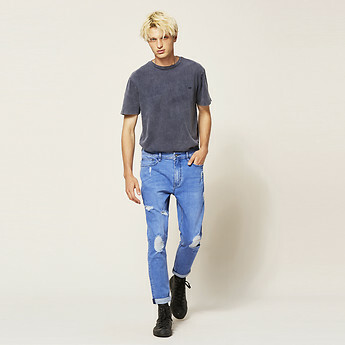 Style back with a rolled hem in a bright blue denim wash.